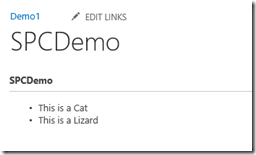 JS Link is a new web part property in many SharePoint 2013 web parts. 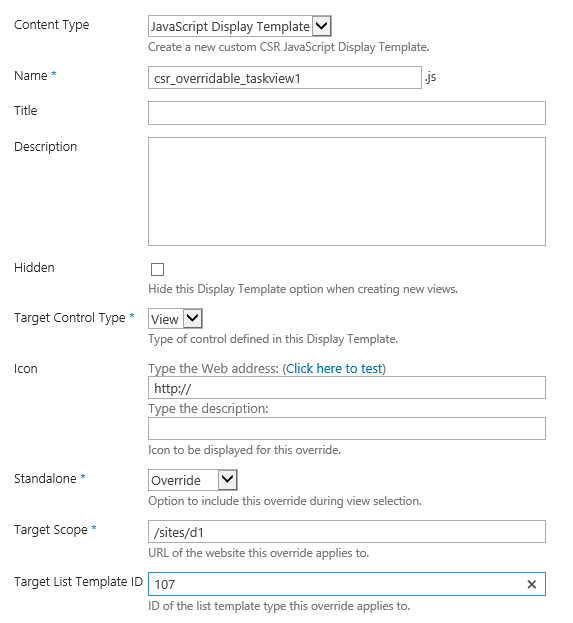 It allows users and developers to create Client-Side Rendering (CSR) solutions within SharePoint 2013. In other words, it allows alternate formatting, data and functionality to be manipulated within a web part. It is one approach that will help replace the data view web part (DVWP) functionality that was used in SharePoint 2010 and SharePoint Designer 2010. For example, CSR scenarios can edit how specific fields are displayed, how whole web parts are formatted and what functionality is available. And these are just a few simple examples. There is a lot of potential for what can be done. My session at SPC12 just scratched the surface while others dug much deeper. Something to note is that using JS Link to implement CSR functionality is easy and reversible. 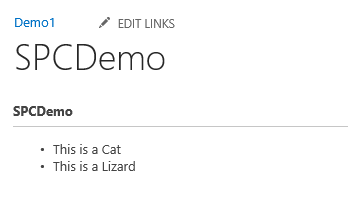 If you don’t like what it’s doing to your web part you can easily change the JS Link property back (blank it out) and your web part will go back to it’s default format. In the first example, we get everything in place and make sure that it’s working. 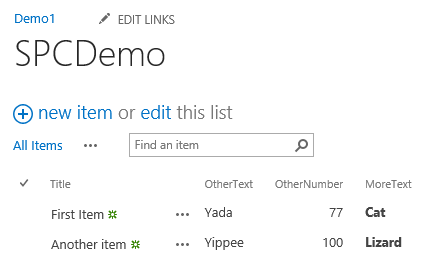 We start with a standard view (AllItems) that shows text fields, and then use the JS Link functionality to override a single column – displaying different text than came with the view. We are replacing whatever the ‘MoreText’ column contained with the word ‘Animal’. As the notes in the sample script mention, the Fields override works specifically with individual fields. You can specify a single field, or multiple fields. For each field (column) override, you need to identify the field being overridden and the replacement value. When identifying the field name, take note that you need to use the internal name for the column, which may not be the same name that is displayed. In some cases this is true, but not all. See my post on finding the internal column name. 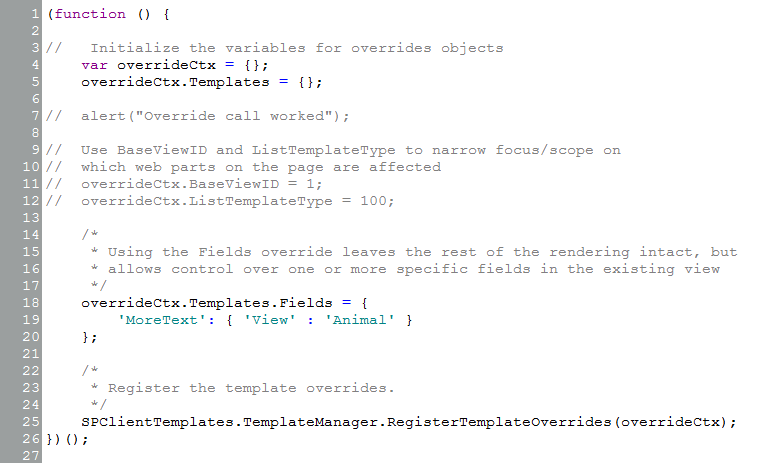 The ‘View’ component of the command is in reference to the type of template being overridden – in our case the view. There are also options for the NewItem, EditItem and DisplayItem forms, but we won’t cover them in this article. The last piece of the command for each field is the override value for the field. This can be a static value – as in the first example – a variable, or HTML and the value, allowing you to style the value. You can also call a function within the script to do more complicated logic – such as conditional formatting – but for the field. Note: The following example code is shown with the Before and After output of the sample web part. The changes will not go into effect until you’ve put all the pieces in place – the steps which are listed after the sample images. Example 1: Uses a static value to override the field value. 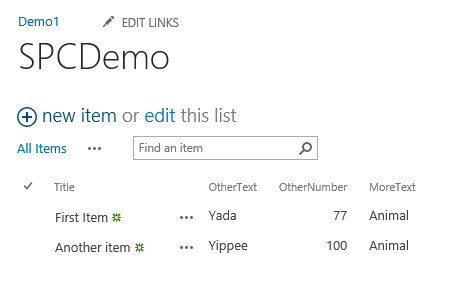 ‘Animal’ will replace the ‘MoreText’ field value for each list item in the view. 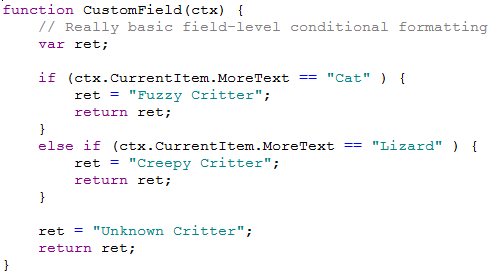 Example 2: Displays the true value of the MoreText field, but formats it (bold) by wrapping it in an HTML tag. 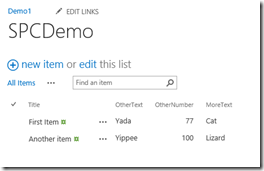 Example 3: Calls a function that formats the value that overrides the field data. In this case it uses a conditional to determine what data is displayed. This could just as easily be used to implement conditional formatting for the field by keeping the field data as in Example 2, but formatting it differently using HTML tagging. 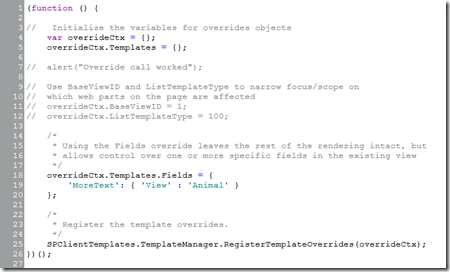 Example 4: Uses a different override. 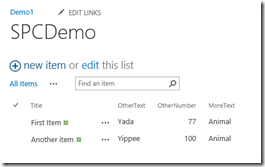 This example uses the Item override instead of the Field override. 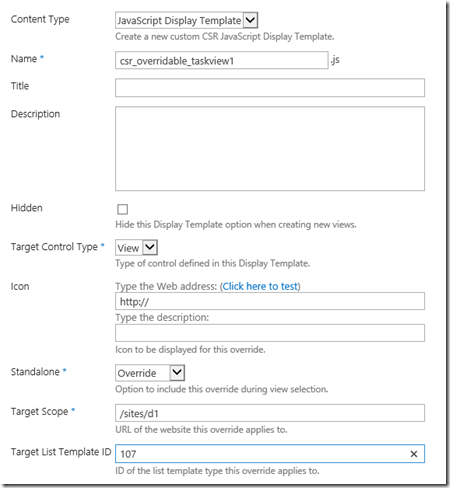 Using the Item completely overrides the web part and requires the Header and Footer overrides as well. In the example here, the data is displayed in an HTML list where the open tag is in the header and the closing tag is in the footer. 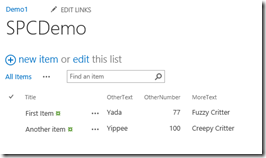 Each item is then an item in the list. BaseViewID is the view ID for the list with 1 being the AllItems view. The script files need to be uploaded to a place where they can be accessed by the web part. Depending on what version of SharePoint you’re using and what your scope is, you will need to determine the best location for the scripts. 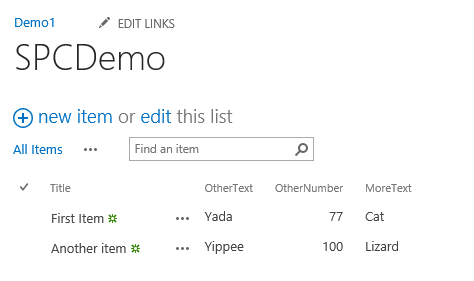 In our case we used Office 365 for a test bed and only want to use the scripts within our site collection, so we are uploading the files to the Master Page Gallery. In our examples, the Target Control Type is ‘View’. The Standalone value is ‘Override’. And the Target Scope is the relative URL of the site collection we’re customizing in the format: ‘/sites/d1’. For our example, upload each of the 4 sample files so that you can see the different examples at work. 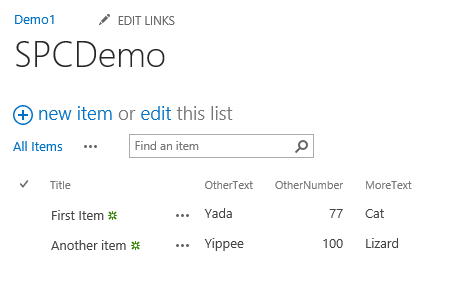 If you haven’t already edited the files to match your specific list column names, start SharePoint Designer and open the site collection where you are doing your testing. Sorry for such a short and unpolished post – there is a LOT more to talk about regarding JS Link and SharePoint 2013 – but I wanted to get this out for people that attended my #SPC064 session at #SPC12 or who started hearing the rumblings about JS Link this week while at the conference. Hopefully this allows you to get started playing around with the power of JS Link. JS Link is not only used in web parts, but can also be set and used when creating custom apps, etc. 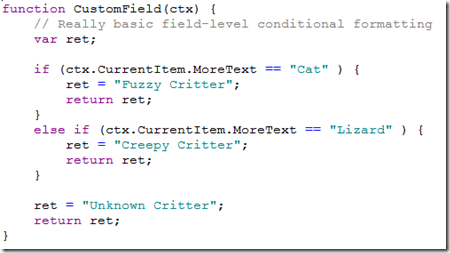 This post is just covering the specific example when using the web part property. Be sure to take a look at the HTML that is produced by the page once you have your CSR in place. Some approaches in the CSR may not jive well with the existing page code. You want to avoid conflicting tags, etc. JS Link override will not work if the form has been edited in SPD. 2. Target Scope: I have no idea what to put here!!! Not a clue..
3. Target List Template ID: I have no idea what to put here!!! Not a clue.. Thanks for any help in getting this set up so I can display the screens for this tutorial. 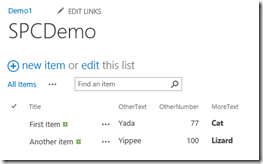 Is it possible to have a SharePoint 2013 Dashboard that pulls data from multiple lists part of the same site with only one value (example if a column in a list has 10 items, it should pull only data relevant to item no. 5)? Is it possible to apply for external list? I have a list in 2010, with several “Content Types” allowing users to only view required fields for that particular Content Type, After migrating to 2013 I cannot utilize the content type column. I have removed it from the quick edit view and am able to paste in data to from a spreadsheet, but w/o CT it is defeating the purpose. I cannot create Master pages, and am only an admin of a sub-sites. 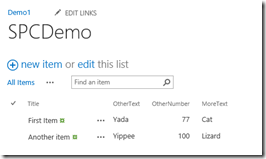 Trying to make this work in a list on SharePoint Online and having issues. I have identified the column, updated the java, put it in the page and under “Miscellaneous” pointed back to the .JS file on the master pages. Still not working. I’ve had no problem doing this in previous editions in SPT, is there something that may prevent this code from running in SPT Online?